We are business leaders, academics, doctors and nurses who are passionate about reducing the incidence of preventable newborn deaths in Vietnam. Taking best practice from our diverse industries we are committed, step by step to developing international standard neonatal care and bringing about change in practice. We are personally invested in Vietnam, working at every level in the health service, building sustainable growth and engaging with the Vietnamese community to raise awareness and funds through our sports platform. Chief Representative of Hongkong Land in Vietnam, Head of Business Development Commercial property, South Asia. Cosimo Jencks has been with Jardine Matheson Group since 1995 and has worked for three group companies in Vietnam for a period of the past 12 years. Initially Cosimo Jencks, ran the car retail and distribution of Jardine Cycle and Carriage in Vietnam and returned in 2005 to be the General Director of Schindler Lifts Vietnam/Cambodia. Since 2008, Cosimo has worked for Hongkong Land Limited as Chief Representative and is now responsible for covering Business Development of HKL Commercial Property in Ho Chi Minh City, Hanoi, Bangkok, Phnom Penh and Yangon. Hongkong Land is one of Asia’s leading property investment, management and development groups. Founded in Hong Kong in 1889, the Group has business interests across the region. Hongkong Land’s business is built on partnership, integrity and excellence. 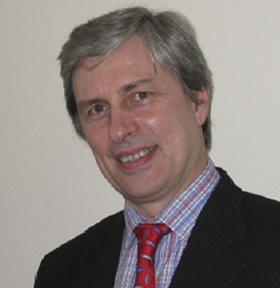 Cosimo has been active in the external community through his participation of the Urban Working Development Group (a UKTI initiative) and committee member of the Hong Kong Business Association Vietnam Group, previously chair and vice-chair of the British Business of Vietnam. In addition, Cosimo is associated with a number of Vietnam related charities. Married to a Vietnam national and with two young Children, his hobbies involve running and history. 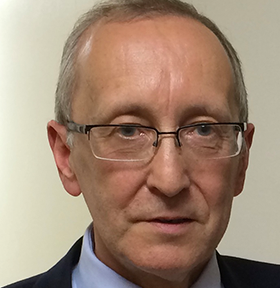 Duncan Macrae is a specialist in children’s intensive care and is a Consultant and Director of Children’s services at London’s Royal Brompton and Harefield NHS Foundation Trust. He has over 20 years of experience as a doctor in this area having previously worked at Great Ormond Street Hospital, London, and the Royal Children’s Hospital, Melbourne, Australia and is currently President of the international Pediatric Cardiac Intensive Care Society. He has a strong interest in education and research, is on the editorial boards of several international professional journals and has himself published extensively in books and journals. Duncan has first hand experience of medical practice in Vietnam, having worked as part of an international cardiac surgical team there in 2006 and has worked in similar teams in both China and Romania. 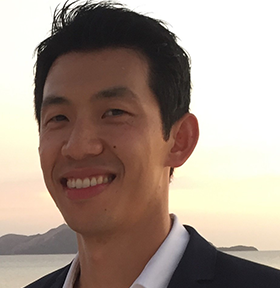 He looks forward to contributing to projects supporting the development of children’s acute care in Vietnam. 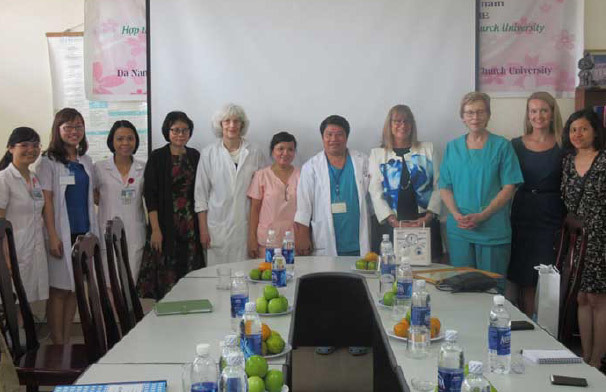 Suzanna Lubran leads Newborns Vietnam’s work in Vietnam and has been instrumental in establishing our successful neonatal nursing and post graduate training programmes for junior doctors in Vietnam. She has over 30 years experience of developing innovative socio-economic programmes to foster community ownership and social and health care benefits. Her previous work also includes the procurement of new schools and hospitals under the UK Government’s Private Finance Initiative and the restoration and re-planning of St Martin’s-in-the-Fields in Trafalgar Square. Suzanna has been based in Vietnam for eleven years and has worked closely with Vietnamese Ministry of Health’s eduction department to understand the medical education context and need. She is also active in our sports fundraising programmes and seeks to challenge herself to balance her commitment to Newborns and a healthy life style. Bang Trinh is Chief Financial Officer for Techcombank, one of the largest Joint Stock Banks in Vietnam and one of the leading banks in Asia. 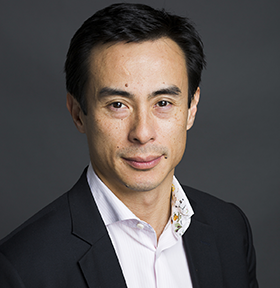 Previously Bang spent 18 years at Morgan Stanley serving in a variety of senior roles including country head for Vietnam and the Philippines. In addition to serving as a Trustee for Newborns Vietnam he is also on the advisory board for Devotion to Children. Bang is a passionate sports and adventure enthusiast and has traveled the world to participate in endurance events such as IRONMAN triathlons and summit two of the Seven Summits. He also played an important role in bringing IRONMAN to Vietnam and launching the Techcombank Ho Chi Minh City International Marathon. Through these events he has been able to combine his passion for sports and social impact. Bang has a Systems Engineering degree from the University of Virginia and currently serves on the Board of Managers of the Alumni Association. He is a member of the Vietnam Chapter of YPO and lives in Ho Chi Minh with his wife Tina and three children. Nguyen Hoanh Tien is VNG Vice President of Operations with more than 20 years’ of experience in technology industry. After 5 years working for SAP in Germany as a strategic consultant, he decided to come back to Vietnam and embraced challenges with VNG. His main responsibility is to oversee technical infrastructure, game system operations, customer services, IT, HR and security in VNG. 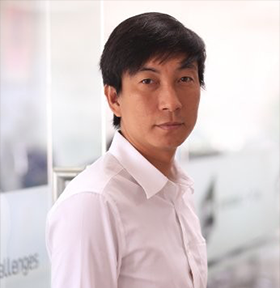 During nearly 10 years at VNG, he has set up a strong foundation for VNG including the largest data center in Vietnam, 2nd largest payment gateway in Vietnam – 123Pay and a strong security & HR system. He co-founded the USGuide and Connek volunteer networks, and supported institutionalization of Vong Tay Be Ban charity group. He is actively coaching volunteer network members and young tech entrepreneurs. Professor Partridge is a Neonatologist who has devoted his career to neonatal intensive care, in both the public hospital and a university medical center in the United States of America. 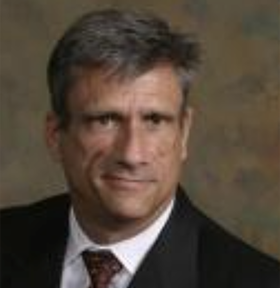 He is board certified in pediatrics and in neonatal-perinatal medicine. 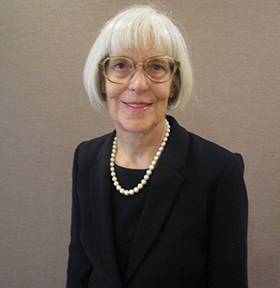 Dr. Partridge joined the faculty of the Department of Pediatrics at the University of California San Francisco (UCSF) in 1982, providing clinical care and house staff training at San Francisco General Hospital. In 1990, he also began working in the Neonatal Intensive Care Unit at the University of California San Francisco. He holds the Academy Chair in Pediatric Education that was granted to foster educational improvement in the Department of Pediatrics at UCSF. Professor Partridge has focused on health care research in developing countries, including collaborative projects in 7 Pacific Rim countries, in El Salvador and in South Africa. A series of manuscripts details clinical counseling and decision-making for premature infants in these countries. His subsequent studies have focused on educational needs for newborn care in developing countries, and studies of barriers to newborn care in Laos, Vietnam, Cambodia, and Malaysia. He was awarded a Labour Medal from the Vietnamese Government for his services to the country. Nick Robinson is the General Director for VK Vietnam, managing the Asia pacific operations, of an international multidisciplinary design practice that focuses on healthcare design. In addition to his experience in building design, construction and management, he has a long history of successful delivery of innovative social and economic development initiatives, ranging from housing co-operatives to employment and training projects for the socially excluded. From his involvement in Vietnam over the past ten plus years, he has been witness to the massive changes underway in the country, and understands how important targeted support from organisations such as Newborns Vietnam can be to those working to develop and improve the services available to the people. Desmond worked at HSBC for 14 years in their New York, Hong Kong, Shanghai, Singapore, Dubai and Athens offices as an International Manager – one of the firm’s permanent expatriates. He held a variety of roles within HSBC, predominantly within the Corporate and Investment Bank. Desmond is a British National whose parents emigrated from Hong Kong. He holds a BEng in Mechanical Engineering from The University of Nottingham. After a decade and a half away from The UK, Desmond is currently taking a sabbatical. He is an avid traveller, loves learning about new cultures and has picked up in his own words, a few languages “badly.” Desmond is a keen sportsman, and counts cycling, golf, hiking, football and scuba diving amongst his hobbies. 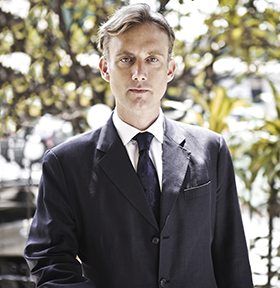 Martin joined Edrington in December 2002 and has overseen Edrington’s operations in the Asia-Pacific region since. Currently based in Singapore, Martin has oversight of Edrington’s wholly-owned operations in China, Hong Kong, Singapore, South Korea and Taiwan as well as its partnerships in Japan, India, South East Asia, Australia & New Zealand. 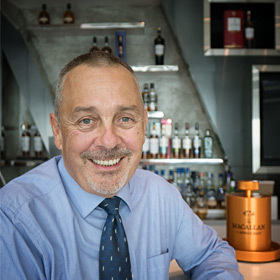 After completing his education in Edinburgh, Scotland, Martin spent four years with the elite Royal Marine Commandos, followed by another four years as a police officer with the Surrey Constabulary in the UK. He then enjoyed a varied career with Bulmers plc, the world’s largest producer of cider. Among other roles, he was appointed as General Manager of Bulmers South Africa Pty Ltd, the company’s first joint venture outside of the UK. Martin is married to Ling and is the proud father of Maximilian and Oliver.